Yamagataya is a guide of traffic access.We are waiting with Hida's famous production. ※Gero Station the exit of Gero Station, the driver picks up a plate of "Yamagataya"
※The parking lot will be in the premises and on-site contract parking lot.Depending on the situation parking lot may be a place away from the inn.Please understand. Gero Station to the hotel, we operate a shuttle bus according to the arrival time of the Limited Express Hida. ※Gero Station clerk at the exit of Gero Station has a plate of "Yamagataya" and is waiting. A shuttle bus is operated from the hotel to Gero Station to the Limited Express Hida departure time. ※Please inquire the front desk about the time you wish to board. 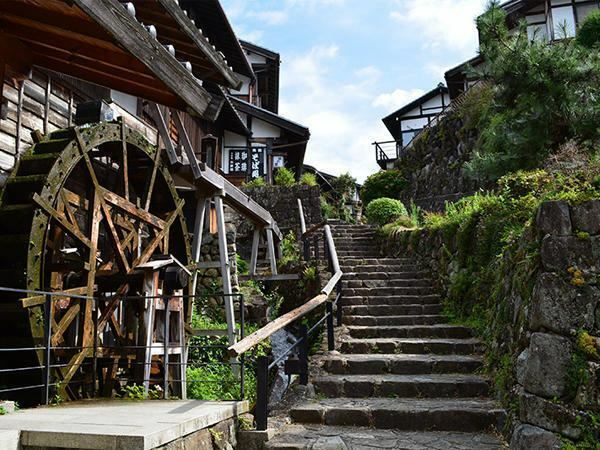 ※Due to the recent heavy rain, all "Wide View Hida" are now closed. Hida Kanayama and Gero area, there is a substitute operation by bus. Please refer to the following link for the substitution bus timetable. We operate daily roundtrip a day. 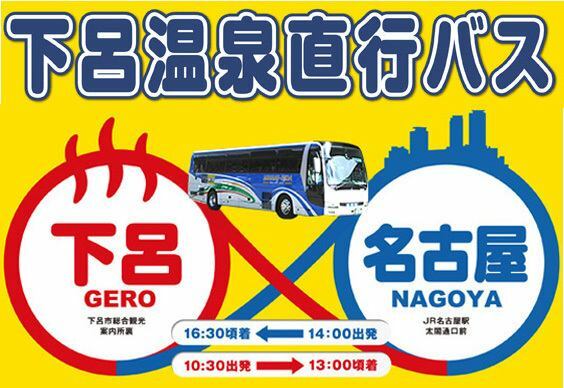 A direct bus to Mabuchi and Tsumabuchi will be operated from Gero Onsen. As it is service at time that is most suitable for sightseeing in Tsumabuchi, Mabuchi, please use. 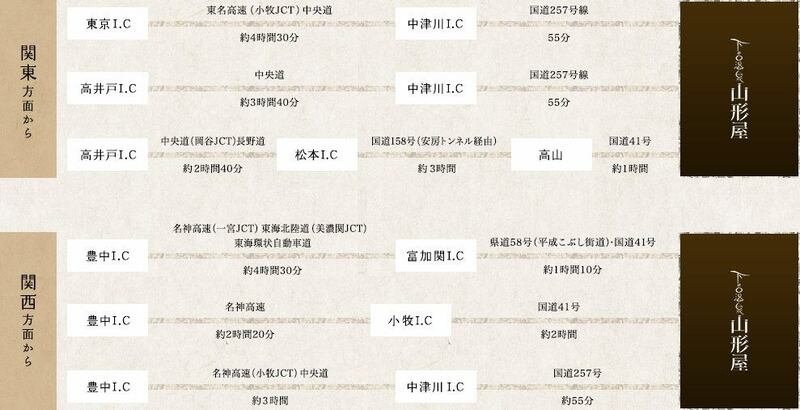 ※Please check the departure time and fare and fare on the Nohi Bus website (link on the lower right).